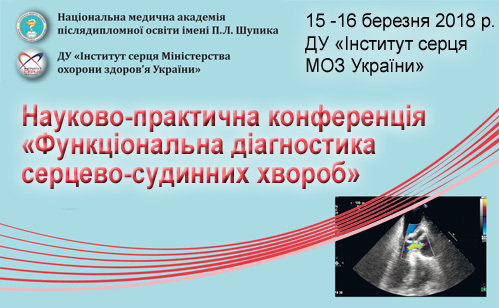 On April 18, 2019, the 5th Annual Registered Scientific and Practical Conference “Actual Problems of Cardiology and Cardiac Surgery” was held at the Heart Institute with the active participation of the departments of cardiosurgery, X-ray endovascular and extracorporeal technologies and functional diagnostics of the Shupik National Medical Academy of Postgraduate Education (NMAPE). 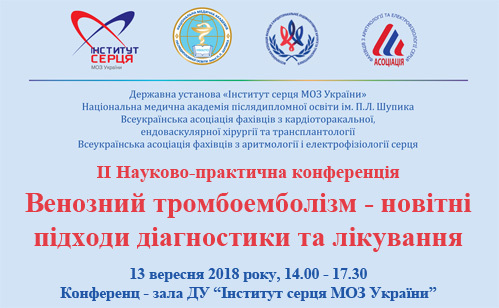 On November 30, 2018, the scientific and practical seminar “Myocardial infarction and heart failure. 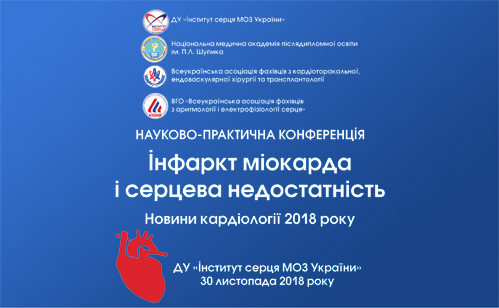 News of Cardiology in 2018 ” was held at the Heart Institute with the active participation of departments of functional diagnostics, cardiosurgery, X-ray and intravascular and extracorporeal technologies of the Shupyk National Medical Academy of Postgraduate Education ((NMAPE) and with the assistance of the departments of public health of the Kyiv City State Administration and Kyiv Regional State Administration. 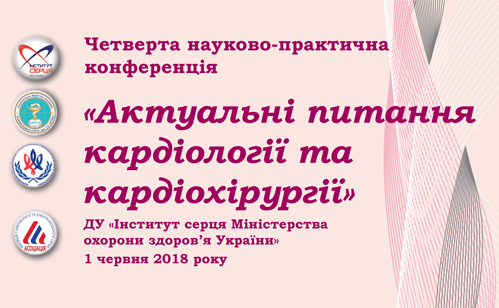 On November 15-16, 2018, the jubilee X scientific-practical conference “Arrythmology Days in Kyiv” was held at the Heart Institute of the Ministry of Health of Ukraine, which became a real holiday for cardiologists and doctors of related specialties, which are engaged in the diagnosis and treatment of arrhythmias of the heart. 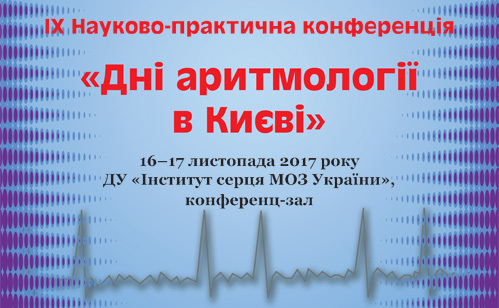 In the Kiev Heart Institute of the Ministry of Health of Ukraine, the first in the new academic year registered scientific-practical conference “Venous Thromboembolism: New Approaches to Diagnostics and Treatment” took place. The idea of the conference was to discuss current guidelines for the diagnostics and treatment of venous thrombosis, pulmonary emboli, and post-thromboembolic pulmonary hypertension. The main purpose of the workshop was to train physicians on the practical application of the latest American and European approved guidelines for echocardiographic visualization of the heart. About 100 cardiologists, therapists, cardiac surgeons, resuscitators, anesthesiologists, and functional diagnostics physicians took part in the conference. The traditional main goal of the forum is to acquaint doctors of different specialties with the latest achievements in cardiac surgery and interventional cardiology. The purpose of the conference was to familiarize practitioners with modern capabilities of functional diagnostic methods, discuss the state of preparation of methodological and regulatory documents. 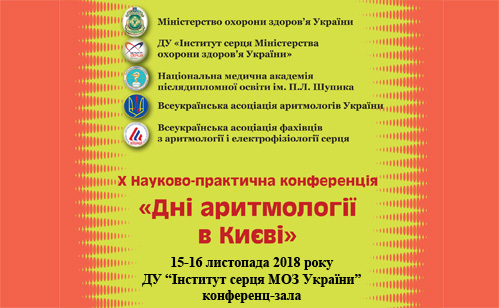 The conference was attended by 238 doctors from all over Ukraine, including the main specialists in functional diagnostics of the regions of Ukraine. 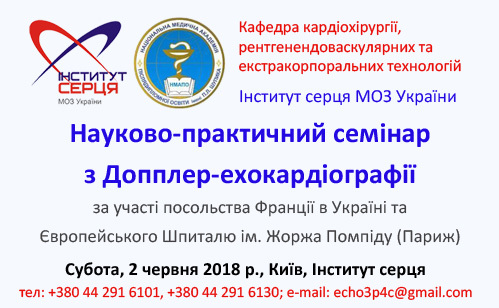 More than 120 doctors-cardiologists, therapists, cardiac surgeons, resuscitators, anesthesiologists, and functional diagnostic doctors from different regions of Ukraine took part in the seminar. The annual seminar always draws so much attention of practical doctors, given the rapid evolution of approaches to diagnosis and treatment of acute coronary syndromes. 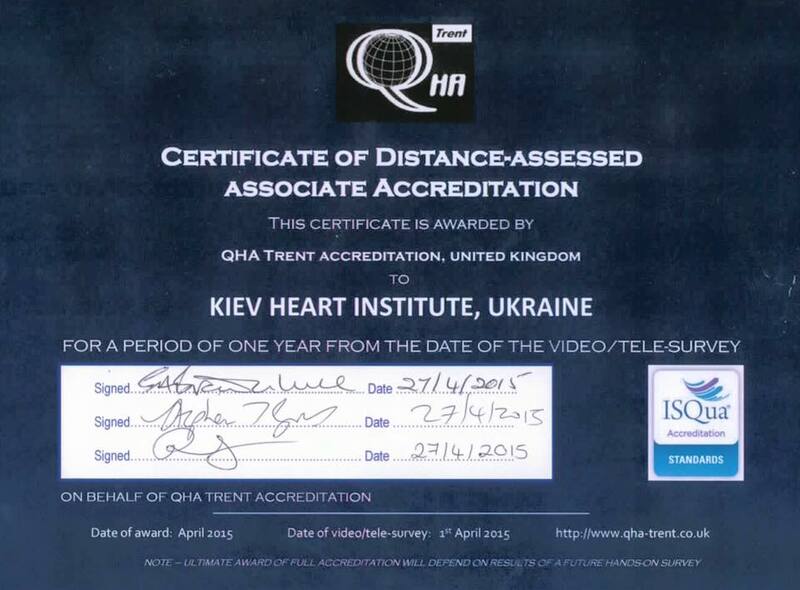 The event was organized by the Heart Institute of the Ministry of Health of Ukraine, which marks the 10th anniversary of its foundation. Leading cardiac surgeons from the USA, Germany, Lithuania, Great Britain, Belarus, Poland, Romania, Greece, Georgia, Moldova took part in the event. The main idea of the conference was to raise awareness of cardiologists, functional diagnostic physicians, cardiac surgeons, doctors of related specialties with regard to modern diagnostic possibilities and interventional treatment for cardiac arrhythmias. 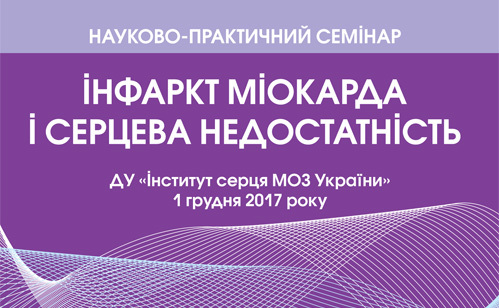 More than 250 practitioners from the majority of regions of Ukraine registered for participation in the 2-day conference.